If you are starting to show the signs of menopause, there can be a lot of symptoms that you will go through. It is normal to go through a range of mood swings, insomnia, hot flashes, emotional outburst, anxiety, irritability, vaginal dryness, constipation, headaches and more. Instead of trying to go the way of traditional medicine, you should know that you do have some natural options when it comes to hormone treatment in La Mesa. All it takes is a phone call to set up an initial appointment with Dr. Joe Dubroff at Holistic Solutions. The hormones within the human body work as chemical messengers. These messengers need to make their way through the blood and the tissues to help with the regulation of cell function. Basically speaking, the hormones work to keep the body functioning properly while maintaining a level of balance. Your hormones are the only way that the cells can jump into action. Without them, you are going to notice a lot of changes in the way that you normally function and it can have a great deal of impact on your daily life. Whether you are low estrogen, you are starting to go through bouts of depression or you need to find a way to regulate the irregular periods that you have been having, you will be able to get some answers when you sit down and talk with Dr. Joe Dubroff. After having an initial examination and going over your medical history, you will then be able to talk about your symptoms and what could be done to help you regain the balance that you deserve. You can also go over some of the factors that can lead to aggravation of your hormonal imbalance, including adrenal fatigue, eating disorders, prolonged used of birth control pills and poor nutrition. 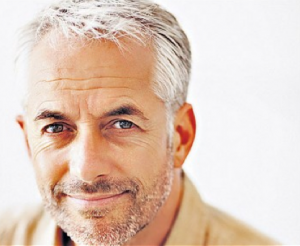 By contacting Holistic Solutions, you will have the chance to experience all natural hormone treatment in La Mesa. Call (619)272-2133 for information.